Our Humboldt Park location furthers Rosin Eyecare’s goal of providing convenient, high-quality eye care to the community in and around the city of Chicago. Since 1930, we’ve been Chicago’s top choice for friendly eye care, whether you’re looking for an eye exam or you’d like to choose from our wide variety of frames. 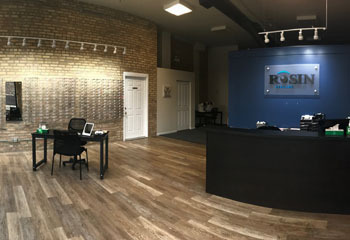 Located at 3934 W. North Ave, Rosin Eyecare’s Humboldt Park office is located in a historical part of the city, offering quality eye care services to one of Chicago’s most culturally rich and diverse areas. Our office sits across the intersection from H&R Block and the U.S. Post Office, offering convenient access on one of the main arteries in the northwest quadrant of the city. At Rosin Eyecare’s Humboldt Park Location, we offer a comprehensive range of services including eye exams and treatment for refractive vision issues. We also provide patients access with a wide variety of frames for their glasses prescriptions, as well as contact fitting and sales. Ask us about the access we can provide to high-quality laser-corrective surgery and other specialized treatments. If you live in the Humboldt Park area, schedule an appointment for a new vision prescription, new glasses, contacts, or another eye care service. To schedule an appointment call us at (773) 687-8383 or visit our Humboldt Park eye doctor today. Always helpful and accommodating. The office seems to be able to take appts at the last minute if you have a medical need, or well in advance. I have seen a few different optometrists there, and they all have a very good bedside manner. The staff is very friendly, and if you need to purchase contact lenses, one good thing is that they help you find the best rebate. Ok, I am not the best patient, I admit…I could have sworn I had been here more recently than I had (whoops!). In any case, I had an eye emergency…well, emergency for me, and I called Dr. Boucher. Somehow, though it was about 4pm on a Thursday, I was squeezed into the scheduled and helped within an hour.